Will Fixes for the NYC Bus System Arrive Faster Than NYC Buses Do? 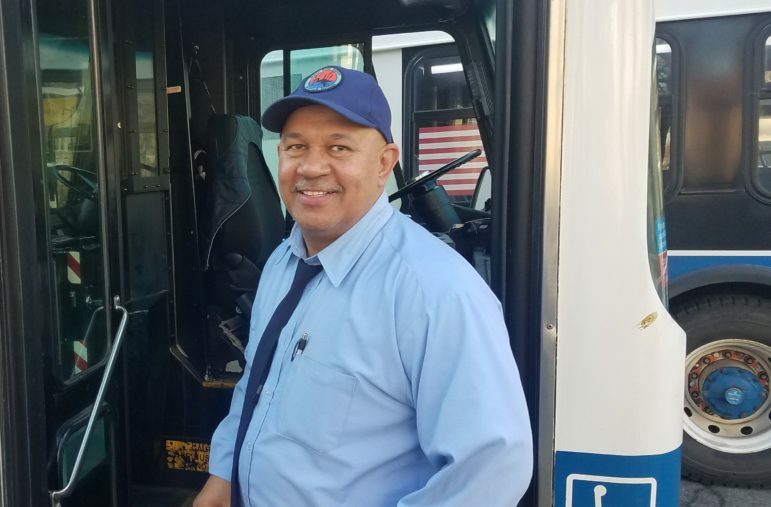 Ralph Dejesus says crowding, altercations and 'people who think this is U-Haul' are not uncommon on the buses he drives in Brooklyn. This story is part of a series about the city’s bus system. The anxiety of waiting at a New York City bus stop is rarely about whether or not the bus is coming. It’s about whether it will come in time. The position of bus advocates on the de Blasio administration’s “Bus Forward” strategy and the forthcoming MTA bus action plan is much the same. The mayor’s plan, which was released in October, makes clear that the change advocates have wanted to see—more select bus service (SBS) routes along with technology and traffic enhancements to make those and other routes work better—is coming. The only problem is that they will arrive rather slowly. Having launched the first one in 2008, the city currently has 15 SBS routes, which use designated lanes, make fewer stops, require passengers to pay before getting on the bus, and offer all-door boarding—features that the city Department of Transportation says have resulted in a 10 to 30 percent increase in speed and a 10 percent boost in ridership. SBS is the city’s form of “bus rapid transit,” or BRT. The city’s Bus Forward strategy document identifies 21 candidate routes for new SBS service—including crosstown routes in Brooklyn and Manhattan, a path along the North Shore in Staten Island and service on Gun Hill Road in the Bronx or Union Turnpike in Queens. and calls for launching two to three new SBS routes per year over the next decade. Bus Forward also commits the city and the MTA to applying some of the tools associated with SBS—like all-door boarding and off-board far collection—to regular bus lines lines. A plan for doing that is supposed to be prepared over the next several months and implementation will occur in 2018 and 2019, the report said. It identified 11 corridors, like Church Avenue in Brooklyn and Bay Street on Staten Island, for that work, although DOT warns that list could change. Asked recently if there were any updates to the Bus Forward report—like which new SBS routes would be added first, or when they’d come on-line—the DOT declined to comment*. The de Blasio administration says it has increased the capital budget for SBS by $196 million to date. The MTA is according to some reports working on its own “bus action plan,” perhaps for release this spring. Unlike the subway system, where direct city authority is lacking and there more public confrontation than cooperation between Albany and City Hall, there is a substantial local component to how the bus system is run. DOT is, for instance, in charge of deciding where bus lanes, stops and shelters go. What’s more, observers say, there is a more collaborative relationship between city and state on buses. Nor is cost a major obstacle to improving buses. While adding bus routes and upgrading bus technology is not exactly cheap, it is way cheaper that any rail-based alternative. The proposed Brooklyn-Queens streetcar will cost $2.5 billion to build. The MTA’s current five-year capital plan for the entire bus system—all 5,800 buses over the 2,869 miles of the 317 routes—is $2.2 billion, and will cover the purchase of more than 1,700 buses and extensive work to repair or construct depots. It’s not an apples-to-apples comparison because individual buses carry fewer people over shorter distances at a slower pace than trains, but it is safe to say prohibitive cost is not the chief reason why the bus system has not been upgraded or expanded. Click for more transit coverage and rider resources! The biggest roadblock to expanding the SBS system—as well as to making SBS more like a true “bus rapid transit” system with hardened, bus-only lanes—is the possibility of local opposition. All urban space is contested, and the impact of SBS routes on driving and parking sometimes turns car owners and retail operators against proposals. A plan for a SBS route along 125th Street in Harlem ran into opposition from then-and-now Councilmember Bill Perkins and others in 2013 and was put on hold, though ultimately a route was created. Twenty-year bus veteran Osvaldo Ceri says he sees almost no enforcement of rules prohibiting private vehicles from spaces reserved for buses. If expanding the bus system is controversial, fixing the current system is overdue. 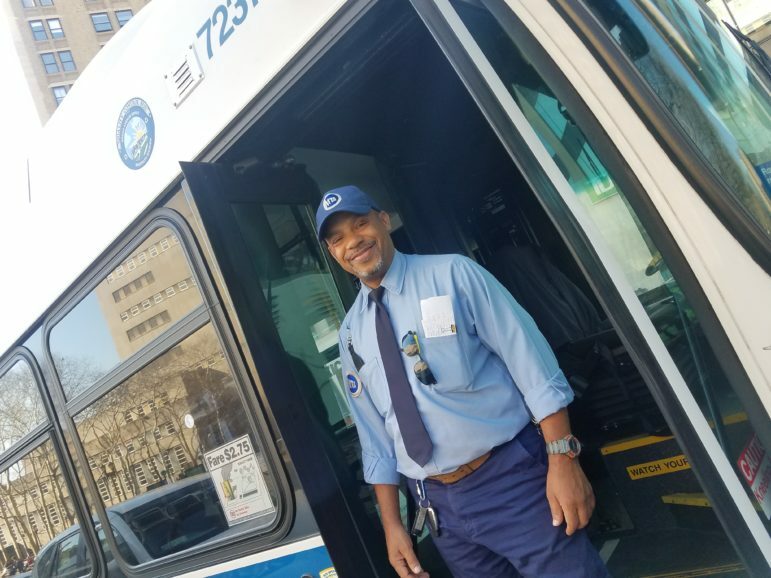 On a sunny afternoon in Brooklyn recently, three veteran bus drivers on break along Cadman Plaza talked about what the problems of the bus system look like from the driver’s seat. This reflects an interesting dynamic, both on and off the buses, the city’s population is growing, and with it the traffic—other cars, bikes, pedestrians—with which buses have to compete. Bus ridership is decreasing overall, but a few lines are seeing major increases in riders: From 2015 to 2016, ridership on Staten Island’s S93 bus jumped by 13.9 percent. Brooklyn’s B32 and B70 buses saw spikes of 13 percent and 10.3 percent, respectively. We asked what the drivers thought would help make the system work faster, Taveras said more spacing between buses would help, Ceri said more buses are needed and Dejesus said more bus lanes are essential. At a City Council hearing last week, MTA chairman Joe Lhota received just two questions about buses over 90 minutes of testimony. Discussion of the transit crisis remains focused on subways, which carry nearly three times as many people as buses every day, and also serve a more affluent, younger, whiter and better educated constituency. The demographics and size of their respective riderships aren’t the only difference between subways and buses, of course. Ridership trends also separate the two modes. Subways have seen soaring rider numbers. But bus ridership, according to the Transit Center, has slipped by 16 percent since 2002. This creates the potential for a downward spiral: When bus ridership slips, and farebox revenue drops, it can be seen as a signal that service ought to be reduced or at least that improvements are not justified. The resulting poor service means ridership slips more, restarting the vicious cycle. The city and MTA both say they are committed to avoiding that kind of dynamic. In answer to those bus questions at last week’s Council hearing, Lhota said the MTA’s coming bus plan will look at rejiggering bus routes to reflect demographic changes and at how to better deal with congestion. Unlike the subway system, the bus system does not have an infrastructure problem, the chairman said, since most buses are fairly modern. That diagnosis overlaps with what bus advocates have said. The TransitCenters “Bus Turnaround” campaign highlights the need to redesign bus routes to be more efficient—less circuitous and shorter, with better thinking about where to site bus stops—and helping buses navigate traffic better with tighter scheduling and more communication between drivers and dispatch. But TransitCenter also calls for new attention to bus infrastructure, like redesigning buses to accommodate more riders, and retooling streets to accommodate more and faster buses. Redesigning streets means installing islands for boarding buses and creating dedicated bus lanes; in other words, reapportioning precious street-space from primarily serving private vehicles to prioritizing buses—precisely the kind of move that has triggered political resistance in the past, and which will require real leadership to navigate now. Elected officials might have to stand up to local resistance if a better citywide bus system is to emerge. * Clarification: After publication, DOT noted that the B82 SBS route for southern Brooklyn is expected to begin operating this year. The city also plans to double the number of intersections where Transit Signal Priority is available from 500 to 1000 by 2020. ** DOT also noted that in addition to NYPD-issued moving violations, the city also uses bus-lane cameras along 12 miles of bus route. 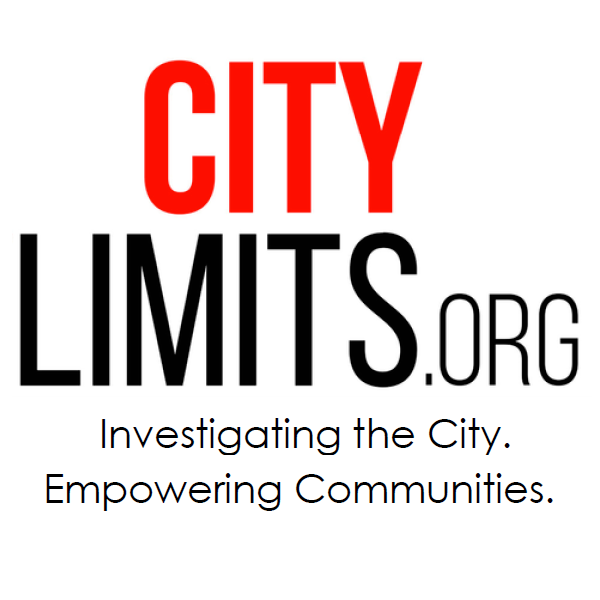 Those cameras recorded 134,000 violations last year, up from 119,000 in 2015. The MTA and NYC Transit unveiled their Bus Action Plan on Monday, an effort to transform the city’s bus network and address declining ridership numbers. A slow-evolving plan to create better bus service is encountering resistance in two boroughs. UrbaNerd: Is Your Bus Getting Crowded … or Lonely? Likely because of service problems, bus ridership overall has been shrinking. But that’s more true for some lines than others, and on some bus routes, ridership is on the way up.